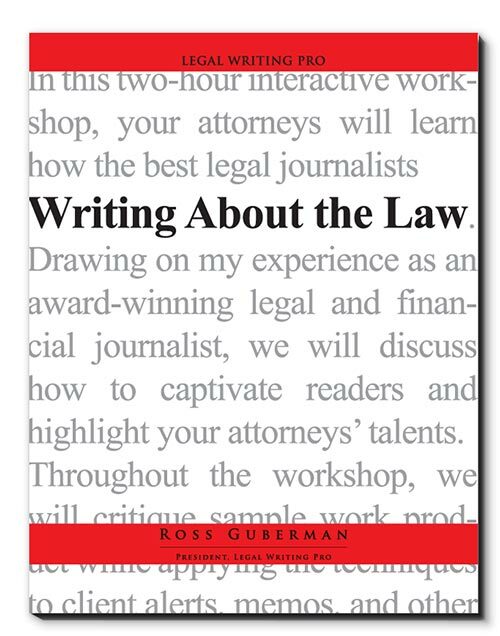 In this two-hour interactive workshop, your attorneys will learn how the best legal journalists write about the law. Drawing on my experience as an award-winning legal and financial journalist, we will discuss how to captivate readers and highlight your attorneys’ talents. Throughout the workshop, we will critique sample work product while applying the techniques to client alerts, memos, and other documents. Participants will also receive my Attorney Toolkit, which includes model documents, checklists, and answers to common writing questions. If you’d like to learn more about our Writing About the Law program, please fill out the contact form below.